live events, award ceremonies and grand openings is another one of Smart Exposure’s video services. 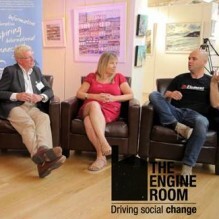 I was asked to come along to a fantastic social enterprise networking event in Truro, Cornwall. This networking event held a very unique chat show styled Q&A, with guests: Kim Conchie Cornwall Chamber of Commerce, Lindsey Hall, Real Ideas Organisation and Gareth Dix of Exhale Foundation and Tempus Leisure and from the band The Claze.